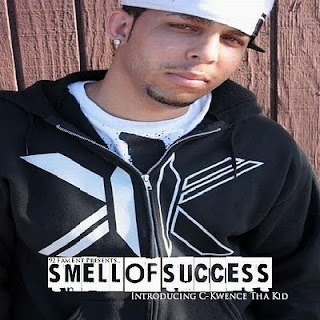 All Indie Magazine: C-Kwence tha Kid: "The Smell of Success"
C-Kwence tha Kid: "The Smell of Success"
Music is not just a passion. It is a part of life. This is what Brandon Washburn, the 23-year-old, music productions and communication major lives by. 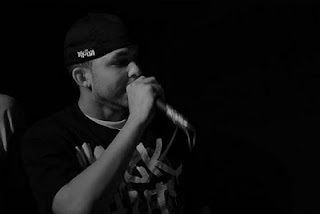 When Washburn takes the microphone on stage or in the studio, he becomes the alter-ego as known as C-Kwence tha Kid. 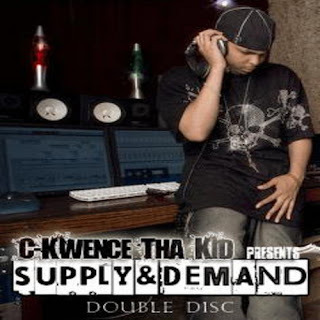 “When I’m onstage and in the studio, I’m at work as C-Kwence Tha Kid. But, when I jump off stage, or step out of the booth, I return to my reality of being a custom framer at Michael’s Crafts store and a 10 unit student at Mt. SAC,” said Washburn. Since the age of seven, Washburn has dreamed of becoming a performer. “I knew I wanted to be involved with music in some way when I first saw Michael Jackson on T.V.,” said Washburn. Not only did Washburn have a dream of becoming a performer, his twin brother, Britton Washburn, and his cousin, Brian Delfosse also shared his aspiration to perform. “What a lot of people don’t know is that when our group first started, we initially wanted to be an R&B group, but that wasn’t gonna happen since none of us 7-year-olds were good enough to carry a note with a bucket,” said Washburn. 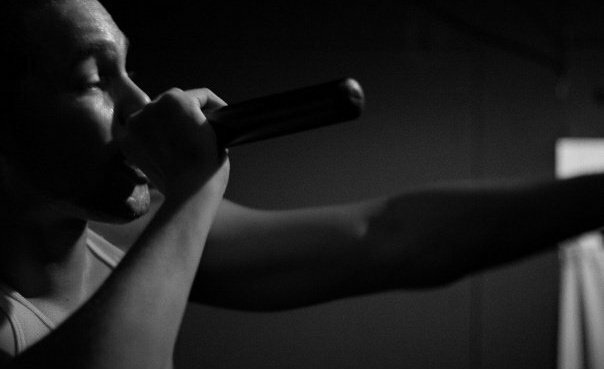 Rapping wasn’t always a style that was easy for Washburn. It took years of practice and the help from his brother and cousin. “Overtime, I matured as an artist, but I was still was looking for my style. Practice definitely helped me find my talent in a big way,” said Washburn. Washburn’s twin brother, Britton, also 23-years-old, said he played the big brother roll when they were younger and helped Brandon craft his own persona and his gift with music, but when he moved out on his own, he developed his own “lane” of music. Brandon discovered how to be on his own two feet. One of the hard parts of growing up for Brandon was the absence of a father. Brandon said he produced a song that talks about the whole situation with his father in the upcoming album called, “Pen and My Pad”. “You can take a listen and feel what I am talking about,” he adds. Brandon grew up with his mother and his grandmother, and his only real father figure was his brother, Britton. “We occasionally saw our dad, but growing up in that environment was very difficult at times, because there were only so many things that a woman can really relate with a teenage boy,” said Britton. Even their cousin, Brian Delfosse felt as if Britton was like the responsible older brother to him. “Brandon and I connected towards each other as if we were the younger brothers,” said Delfosse. Although Brandon lacked fatherly support, his mother supported his endeavors in his pursuit in music. “My mother is my number one fan and the number one woman in my life. I love my mom like no other. She has definitely been the hardest working person I know,” said Brandon. In the beginning of the Brandon and Britton’s music career, their mother supported their desire to learn musical instruments, but she never thought they’d become Hip-Hop artists. “My mother at first thought it was just a phase until we actually went to record in an actual studio. Since then she’s been supportive and our ‘cheer leader’, said Brandon. Although music is one of the main facits of Brandon’s life, school also plays an important role and he likes to keep the two separate. Brandon’s Speech 1A Professor, Liza Rios was unaware of his off campus activities. Sometimes while in class, when it appears as if Brandon is paying attention and being the ‘good student’, even he finds himself engulfed in his art. From the pen to the microphone, Brandon has been writing music since he was a kid, but the actual production of music began when he purchased the program called, “Fruity Loops version 3.0”. “I would play around with the program every now and again until I actually started hearing melodies and drum patterns in my head and then I actually started putting them down on the beat pad, kind of like how an artist transfers the image he has in his head to the canvas via paint,” said Brandon. It wasn’t until 2003 that Brandon started his production label entitled, “Child’s Play Productions” and when the name, “C-Kwence tha Kid” was born. “This was when the District as finally strayed away from recording demos and mixtapes via cassette tapes and we actually drove to “LA Sound Machine” in Carson, Calif. with sound engineer, the late Brad Knorr, where we recorded our first 13-track mixtape as a group, called “RND Presents: Est. In ’92 – Mixtape Volume 1″. It wasn’t until 2008, when Brandon decided to go solo and create his own mixtape called, “Supply & Demand” Mixtape Volume 1 and “Supply & Demand” Mixtape Volume 2 earlier this year. This year, Brandon plans on releasing the third edition of the “Supply & Demand” mixtape vol. 3: The Final Shipment. While Brandon’s road my appear to point to a career in music, Brandon noted that an education is just as important, as he has learned the hard way when he took time off from school.